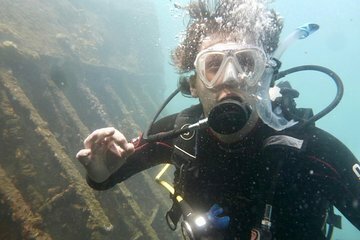 Ensure your place on a much sought-after Open Water PADI-certification course by making this reservation. Having confirmed your place, you then pay the balance upon arrival in Santa Marta, Colombia and embark upon the journey of becoming a certified diver. The full fee includes all equipment and insurance and, if you wish, you can receive the electronic manual in advance for studying prior to arrival.